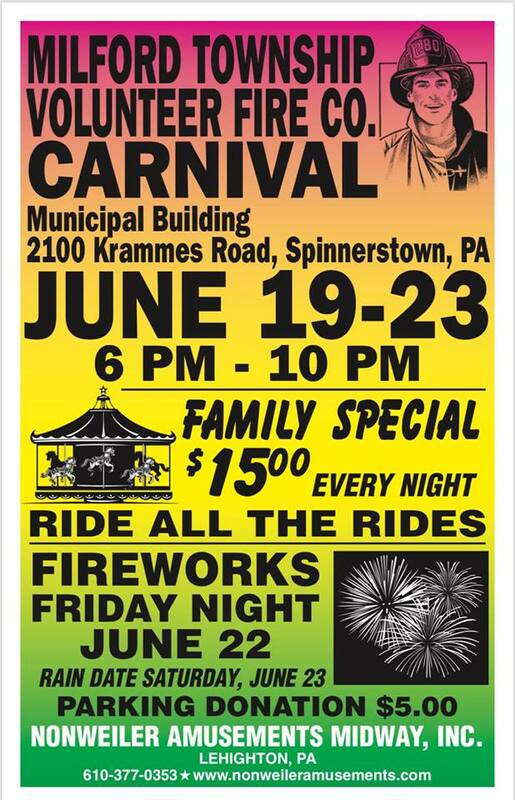 The Milford Township Volunteer Fire Company #1 will be holding their 71st annual Carnival from Tuesday, June 19th through Saturday, June 23rd, located at the Milford Twp Municipal Building grounds on Krammes Rd. 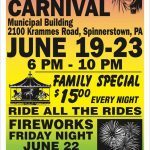 The five day fair will have carnival rides for all ages, delicious food, carnival games, and much more. Fireworks are on Friday night, June 22nd (raindate, Saturday June 23rd) – $5 per car parking donation. Pay one price ride specials are $15 each and are available each night.